Each table can host 10 seats total, including you. with family and friends who can secure tickets at your table. and ad placement in the program book. 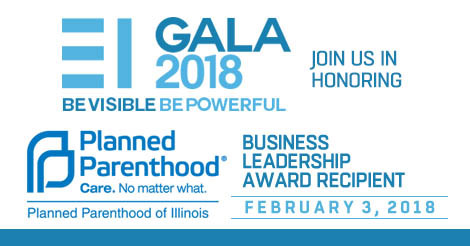 The Gala Program Book will be seen by the more than 1,000 attendees of the Midwest’s largest LGBTQ formal event, including scores of political, civic, and community leaders. 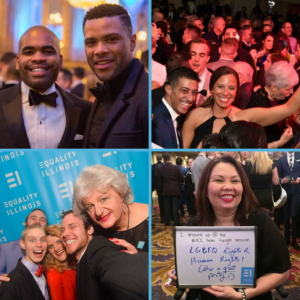 Relive the experience of the exciting 2017 Gala. 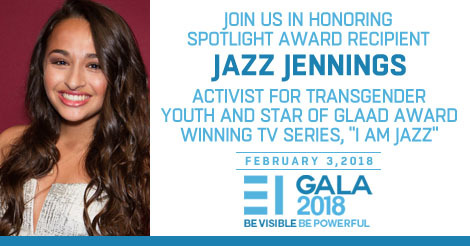 Flip through the gala program and enjoy pictures and videos. 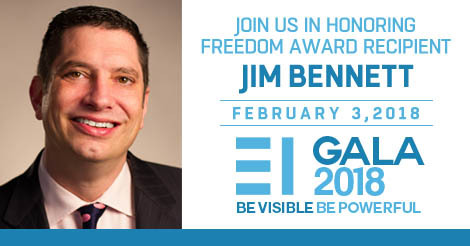 Watch the call to action by Equality Illinois CEO Brian C. Johnson, powerful testimonials from three people who benefited from the work of Equality Illinois, and the presentation of the awards to our honorees.